We are currently undergoing a fitness modernization project and have limited fitness center equipment available at this time. We apologize in advance for the inconvenience. The Homewood Suites by Hilton Atlanta - Buckhead hotel is located 8 miles north of downtown Atlanta Georgia in the heart of Buckhead. 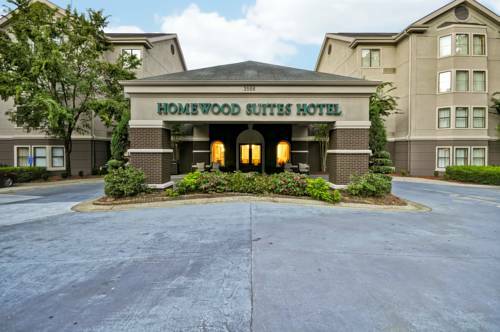 This Atlanta Georgia Homewood Suites by Hilton hotel has 92 apartment style suites with a spacious living room and separate bedroom. Each suite features a fully equipped kitchen complimentary high-speed internet access and in-room electronic safes. Guests at the Homewood Suites by Hilton hotel can enjoy a daily complimentary Suite Start hot breakfast and the Welcome Home reception featuring a complimentary light meal and beverages Monday-Thursday evenings /subject to state and local laws/. all reservations must be guaranteed with major credit card or advance cash deposit to hotel regardless of time of arrival. all reservations must be cancelled by 6pm host time unless deposit required.